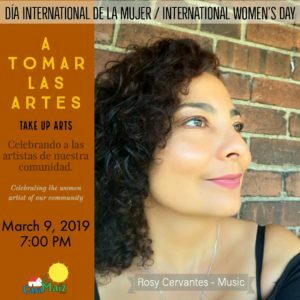 Rosy was pleased to take part in “A Tomar las Artes”, “Take Up Arts”, celebrating women artists of the Latin community, March 9, Centro Cultural Casa Maíz. 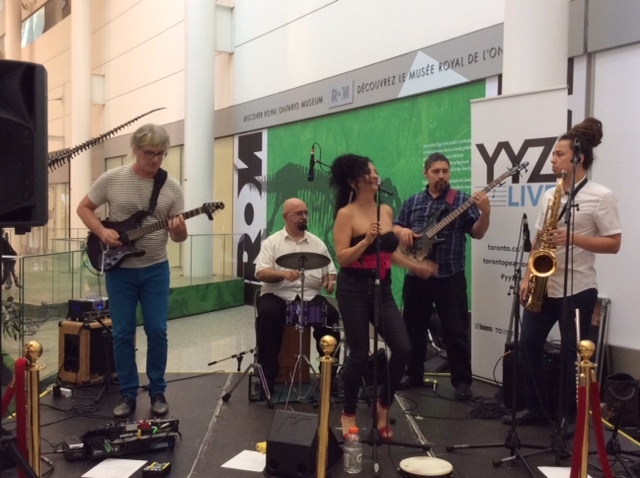 YYZ Live, a musical celebration featuring free, live performances by local musicians, returns to Terminals 1 and 3 from June to December 2018 for the enjoyment of both passengers and the public. 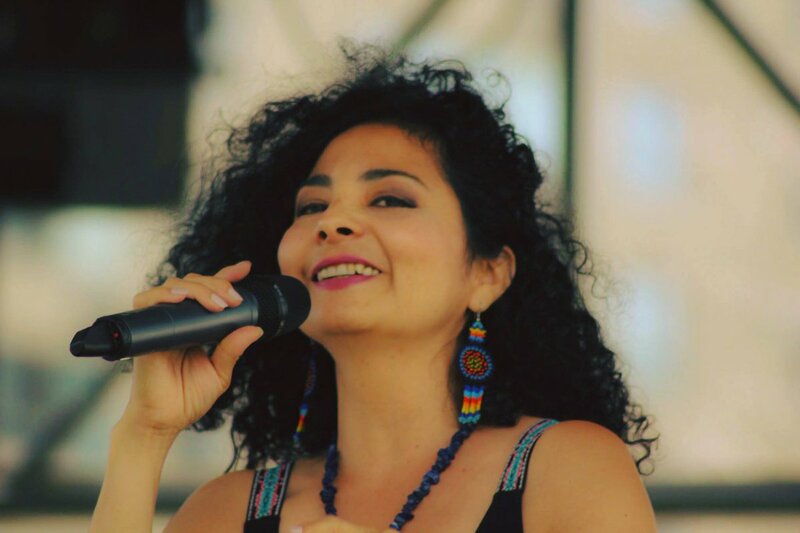 City Hall Live returns to Nathan Phillips Square with lunchtime concerts from 12:30 to 1:30 p.m., on Wednesdays from June 20 to August 29 and on Thursdays from July 12 to August 30 (except Aug 9). …with Rosy and Richard Fouchaux on nylon sting guitars. 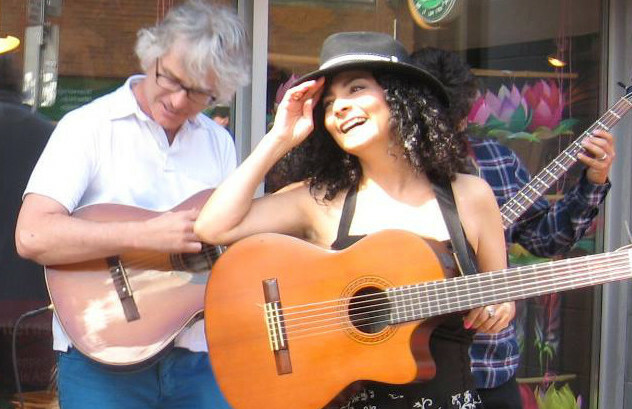 Rosy will sing a broad repertoire including her original songs, Mexican and Latin American folk and pop music. 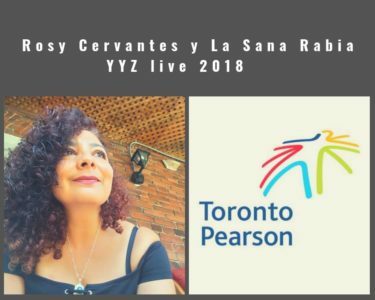 La Sana Rabia will share a true taste of Canadian culture at YYZ Live, a musical celebration with 150 performances from 75 local artists in honour of Canada’s 150th birthday! Pearson International Airport is the first place newcomers touch our soil, the front door to a Toronto adventure, and the gateway to our great nation. 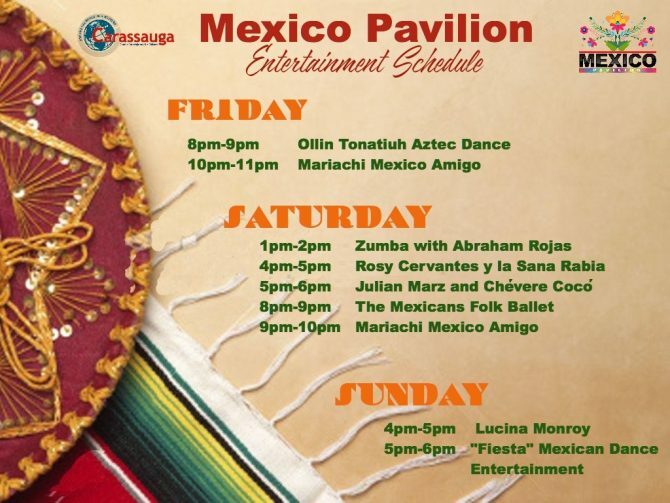 Listen to @rafacabrona at #YYZLive tonight! 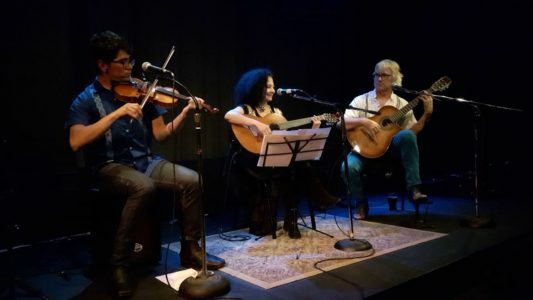 🎶Rosy is a powerhouse of sound. 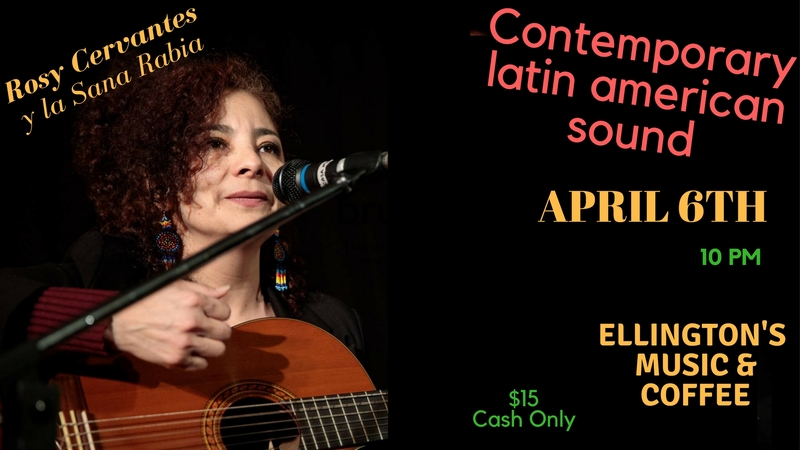 Her voice shares the emotions of the songs she writes & sings.